In 2018, Leesman independently assessed the workplace experience of 151,770 employees across 971 workplaces worldwide, further bolstering what was already the largest available body of comparative data on workplace effectiveness. The findings expose a huge diversity in the operational effectiveness of employees’ working environments, revealing the sometimes-stark differences between what employers are providing and what employees need. They also reveal that a large number of organizations are simply not getting what they could from their workplaces. In too many spaces opportunities are being routinely overlooked, and the toxic impact on employees of poor physical and virtual infrastructure, grossly underestimated. But an elite group of employers buck this trend, delivering individual workplaces that brilliantly support employee experience. Some of these spaces—ones that comply with strict qualification criteria—are awarded our coveted Leesman+ certification. Understanding what makes the workplaces that achieve Leesman+ status distinctive, and how they differ to the vast majority of corporate workplaces remains a key focus for the Leesman team. In 2018, 13 organizations were awarded Leesman+ certification across 28 workplaces, and their outstanding achievements are investigated and celebrated in a new research report. With workplace commentators now acknowledging that employee experience provides the stepping stones to employee engagement, it is no surprise to see these 13 organizations remaining well clear of the global average workplaces on areas such as employee pride and the workplace being an enjoyable place to be. These workplaces are valuable assets in organizational development and performance. The strategies behind the world’s best workplace differ among regions, sector and of course employee functions, but there are similarities in what these organizations are doing and how they approach the balancing act of ‘work’ not only being a thing you do, but also a place you actually want to be. With the focus on squeezing as much cost out of real estate as possible, organizations have turned to rationalization and densification as legitimate property interventions. But is reducing the square footage of available workspace having a negative effect on the quality of workplaces, the ability to provide a supportive environment, and the experience that employees have generally? Leesman’s latest research reveals that the workplaces with the best employee experience scores in the world (Leesman+ spaces) vary considerably in both size and density. Open plan offices are now demonized in the mainstream press with increasing frequency. The most common charges are that open designs distract people, frustrate those who value privacy, and increase levels of stress at work. And yet Leesman’s research paints a very different picture. Of the 28 Leesman+ workplaces across the globe, only two percent feature private offices. This, of course, speaks to the growing popularity of open plan design for many of the world’s biggest corporates, but it also demonstrates that the ire directed at open plan offices is misguided. Can an environmental certificate improve the employee experience? It seems it can. Leesman reveals that organizations which have worked to improve the green credentials of their workplaces also generate and upswing in employee pride. While this could be an unintended consequence, it highlights to a growing belief in business that today’s employees want to work for organizations that are serious about their ethical responsibilities and ready to make a difference. People favor variety in their workplace. Many of the Leesman+ workplaces that score highly feature working areas that accommodate all sorts of tasks. Leesman’s research suggests that greater variety comes at the expense of personalization. 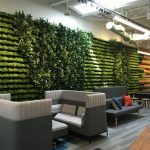 So, in order to better manage a wider variety of workplace designs, are organizations denying their employees the opportunity to personalize space? A special thank you to Leesman and our sponsors, Mohawk, Herman Miller, and Fox Architects for bringing this research to our in-person discussion that took take place on April 9, 2019 in Washington, DC.